app’s goals, its target audience, and the resources needed to build and maintain the app. customers. 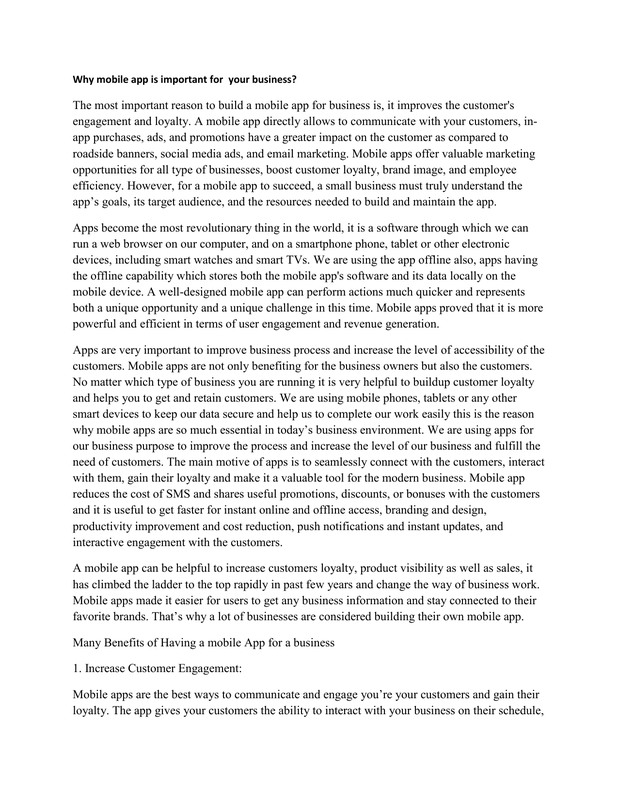 Mobile apps are not only benefiting for the business owners but also the customers. interactive engagement with the customers. has climbed the ladder to the top rapidly in past few years and change the way of business work. favorite brands. That’s why a lot of businesses are considered building their own mobile app. freedom to communicate with it anytime which is what makes a business successful. for your business, you’ll see an exceptional rise in your sales and profit. networking sites also show their significance for apps. also help you in securing a strong brand presence in the industry. services in the industry. We talk to our clients and come up with the best yet affordable option.